Ge2Ov2 converts Waypoints, Routes and Tracks from KMZ or KML to TomTom Navigator overlay (OV2) file in a few steps. Then edit, modify and delete waypoints, and select the data that you want to convert to TomTom Navigator overlay (.OV2) format and save it. 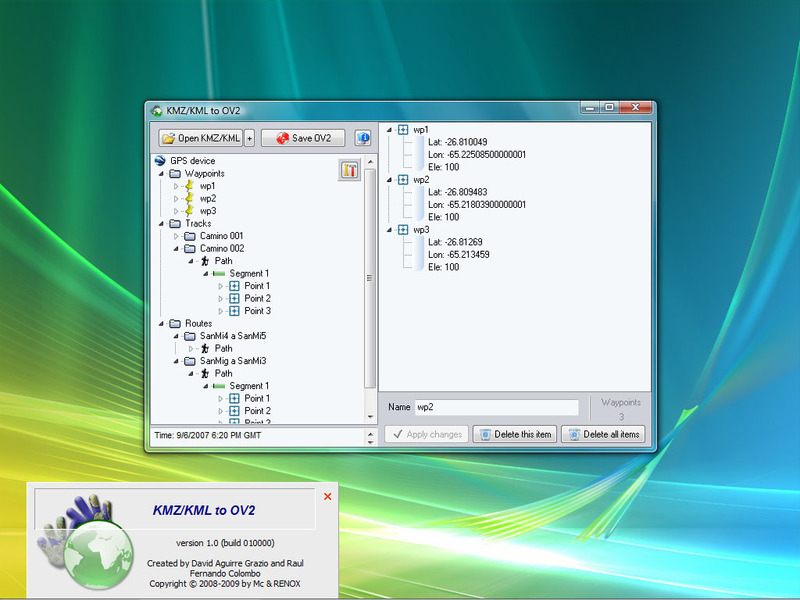 Upload the OV2 converted file to your GPS device, PDA/Palm or another PC software.